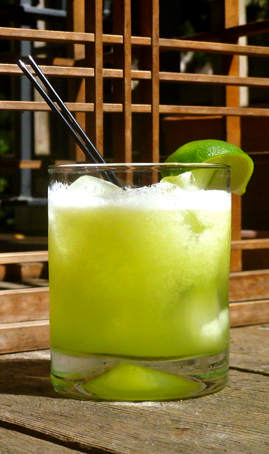 This is absolutely the most refreshing margarita and number one on my “Honey do” list. Honeydew brightens the citrus taste in the tequila while the honeysuckle simple syrup brings out the natural honey flavors. Shake Fortaleza Blanco tequila, honeydew nectar, honeysuckle simple syrup and a fresh squeeze of lime. Serve over ice. Garnish with a lime. Blend one inch cubes of honeydew melon until smooth, fine strain. Place honeysuckle blossoms on the bottom of a large bowl. With a lemon peeler, peel strips of lemon and place on top of blossoms. Make sure that there is minimal white on the inside of the lemon peel. Make simple sugar and water solution. Pour over honeysuckle and lemon rind. Stir in citrus acid. Place a tea towel over the bowl for twenty-four hours. Sieve through a coffee filter into cordial bottles or jars.